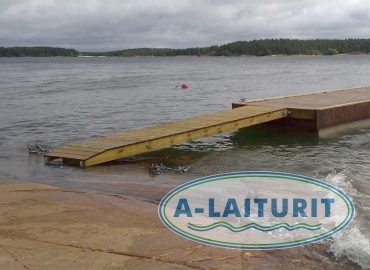 As an alternative to attaching it to the support element, the gangway can be attached directly to the pontoon thus leaving the free end to roll on the shore. 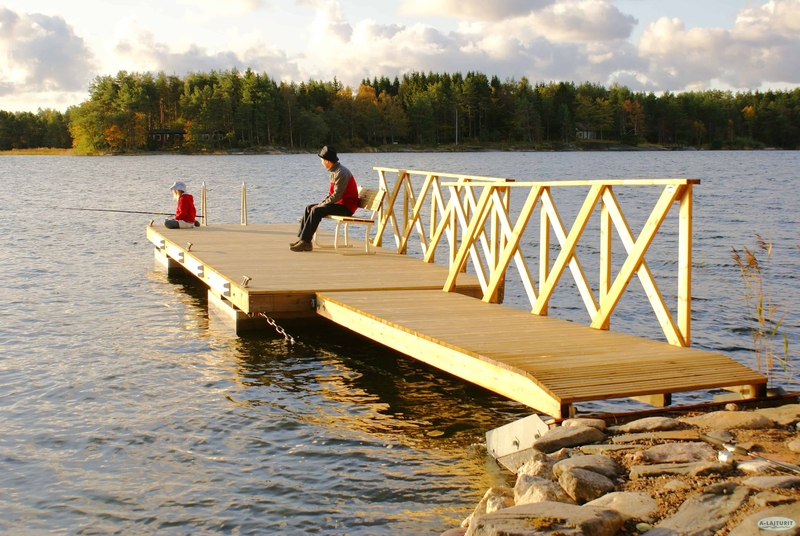 In this way there will be no need to build a separate support element for attaching the gangway onto the shore  all that is needed is a flat surface. 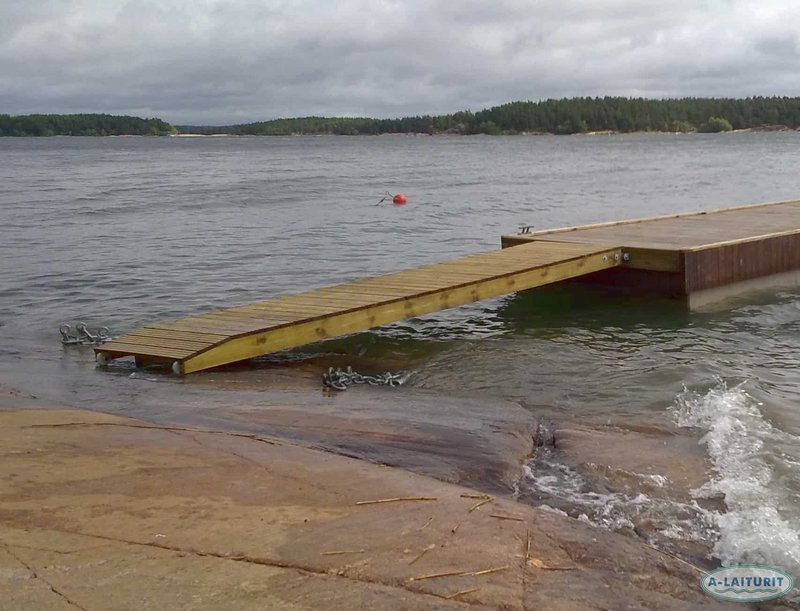 Observe that the gangway needs to be removed from the shore during winter. 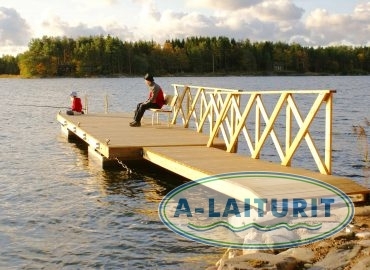 Package includes: pre-drilled gable balk for the pontoon, 3 T-joints and all necessary screws and fastenings.